Barcelona manager Ernesto Valverde says Lionel Messi will have a late fitness test ahead of Sunday’s trip to Athletic Bilbao. Barcelona trained on Saturday ahead of their trip to the San Mames to face Athletic. Messi trained with the team and is expected to travel with the rest of the squad but it is not confirmed whether he will play in the starting. “We didn’t want to take risks during the Copa del Rey match and tomorrow we face a similar situation,” said Valverde. Lionel Messi has been named on the bench for Barcelona for their Copa del Rey semi-final against Real Madrid on Tuesday. Amid speculation over the Argentine’s fitness, coach Ernesto Valverde insisted ahead of the encounter that he would not take any risks with his captain. Summer signing Malcom comes in to replace Messi on the right wing while Nelson Semedo starts ahead of Sergi Roberto at right-back. 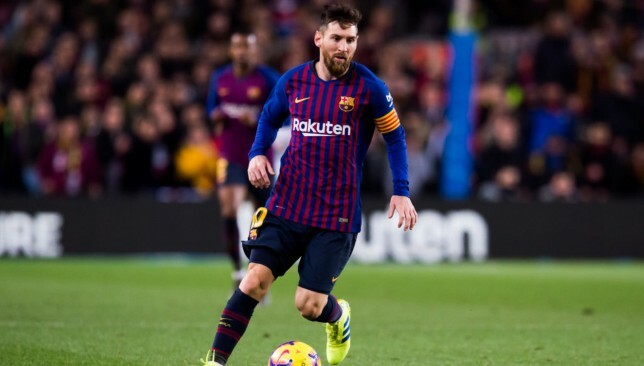 Messi suffered from some discomfort in his thigh during Barcelona’s draw with Valencia on Sunday but returned to training on Tuesday ahead of the second El Clasico of the season at Camp Nou. The five-time Ballon d’Or winner however had missed training on Monday. Valverde had said in a press conference: “I have not seen him yet and I don’t have an answer. 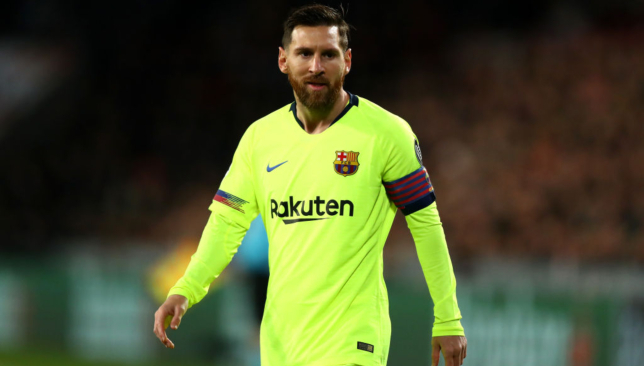 Messi was omitted for Wednesday’s quarter-final first leg at Sevilla and without their talisman Barca slumped to a 2-0 defeat – putting in jeopardy hopes of a fifth successive cup triumph. However, the 31-year-old forward who recently became the first player in history to reach 400 goals in La Liga, has been included in a 19-man squad for Sunday’s Catalan derby, where Valverde’s table-toppers are chasing an eighth successive league win. Valverde said of his decision to rest Messi: “It’s the coach’s decision, he knows the players the best and how they are. The Barca boss, whose side host Sevilla in the second leg of their cup tie on Wednesday, added: “People talk about rotations when you lose. “Last year we made changes in two cup ties and people only mentioned it when we lost against Espanyol. We were doing something similar the previous year. “The result went badly (against Sevilla) but we will try to bounce back. Sunday’s match will see Barca make the 130-mile round trip to Girona’s Estadi Montilivi, rather than the 9,400-mile trek to Miami which, for a while, looked like it could be the case this weekend. It was touted last year that this fixture would become the first La Liga match to be staged in the United States, but the plans caused considerable controversy and in the end nothing came of it. As well as Messi, Barca welcome back the rested Sergio Busquets while new signing Kevin-Prince Boateng – who started against Sevilla – is also included. Ousmane Dembele, Rafinha and Samuel Umtiti are out injured. Girona go into the clash on the back of a nine-match winless run in all competitions and having slipped to 12th in the league. Their last two outings saw them suffer a last-minute defeat to Real Betis before going down 4-2 to Real Madrid in the cup, but coach Eusebio Sacristan is hoping for better against his former club Barca. “We’re excited and we hope to have a good match and have options to win it,” Eusebio, who is without the injured Borja Garcia, said.